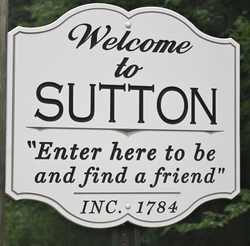 Sutton's past . . .
. . . and promoting its future. The meetinghouse, located on a slope rising above the green, is the focal point of the quaint South Sutton village. The remarkable structure remains as it was built except for some minor alterations done when it was repaired after a lightning strike in 1898. 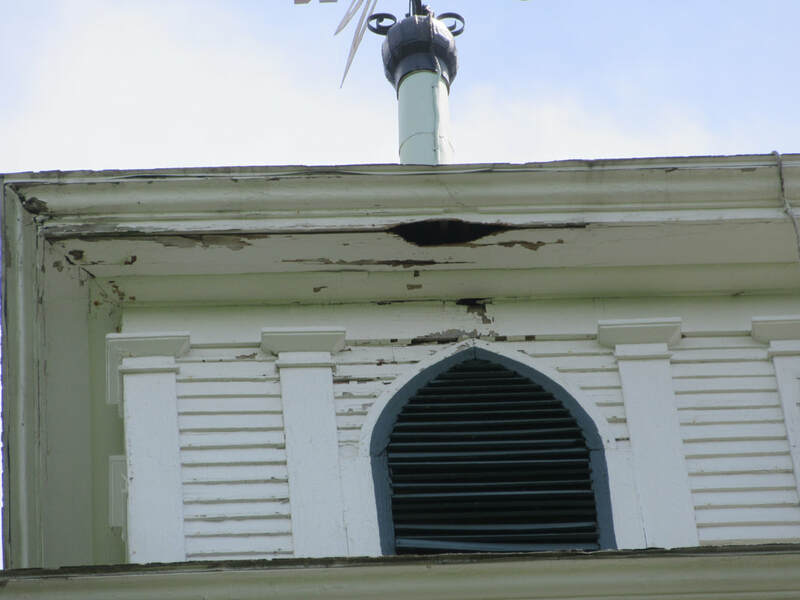 Today, the steeple is in desperate need of repair, which will be costly. Clapboards have to be replaced, moulding matched replaced, finials replaced and/or repaired and other trim has to be repaired. All has to be painted. Because of the height of the steeple special equipment will be required to accomplish the task. The Sutton Historical Society has established a steeple fund to help pay for this project. If you would like to contribute to this fund, send your donation to the Sutton Historical Society, PO Box 457, South Sutton, NH 03273.